BFD Nutrition Whey Protein has the benefits of a simple formula with the fortitude of the highest quality ingredients available. BFD Nutrition Whey Protein has the benefits of a simple formula with the fortitude of the highest quality ingredients available. Formulated to be a synergistic powerhouse of pure whey protein isolate, whey protein concentrate, and all-natural flavors and sweeteners. 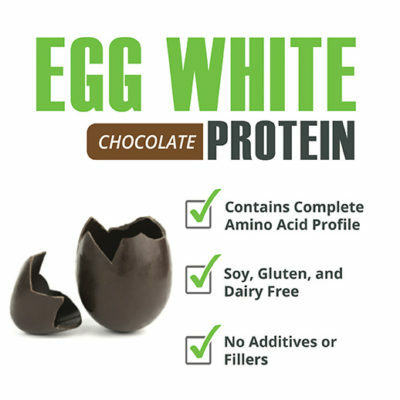 This great tasting combination of ingredients makes a healthy addition to your dietary regimen. Whey Protein Isolate is among the best protein sources available. Isolate blended with a Whey Protein Concentrate that is ultra-filtered offers a strong line up of naturally occurring amino acids while providing an excellent source of protein. 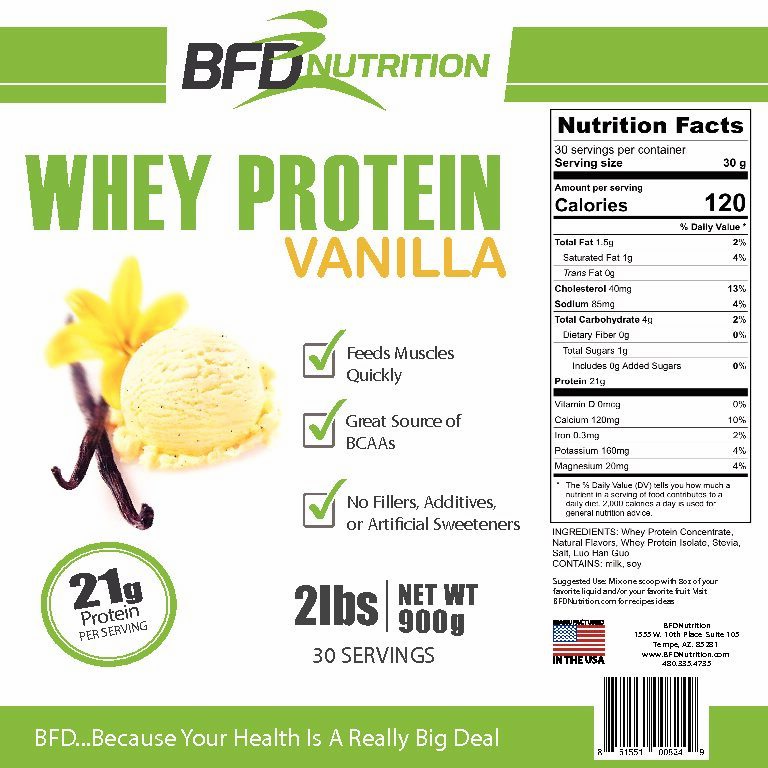 We DO NOT use any fillers or artificial ingredients in BFD Nutrition Whey Protein because, like you, we enjoy? clean and simple? 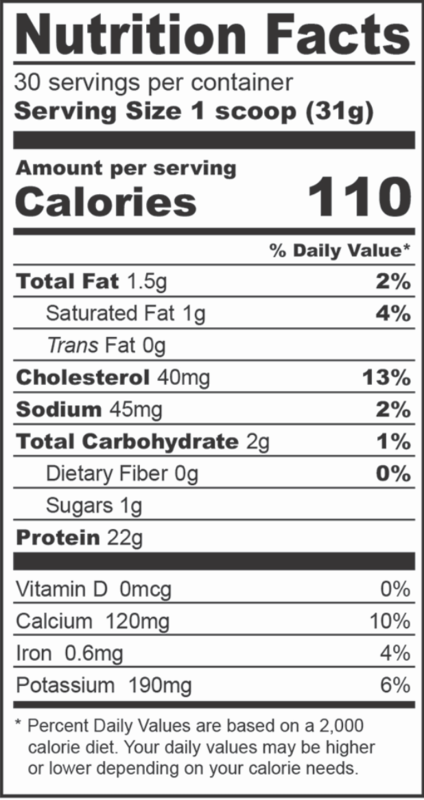 nutrition that is delicious and effective! 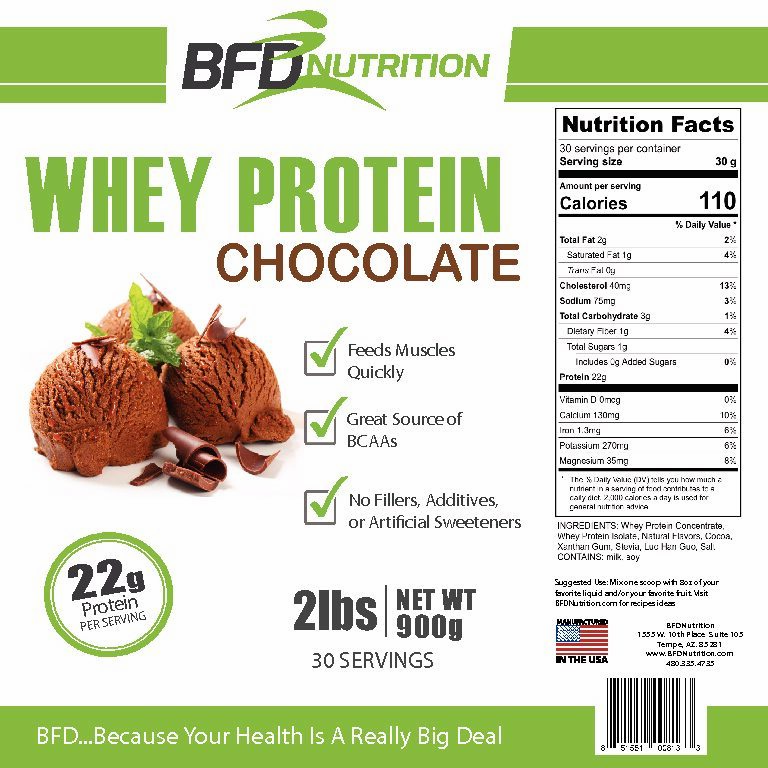 BFD Nutrition Whey Protein is instantized. That means you do not have to worry about using a blender, simply add one scoop of BFD Nutrition Whey Protein to 6-8oz of water, milk (dairy, soy or almond) or your favorite beverage! Then with a spoon, stir until the powder is dissolved thoroughly, about 30 seconds. Probably the most commonly used form of mixing, the shaker cup is great for 'on the go' protein shakes. 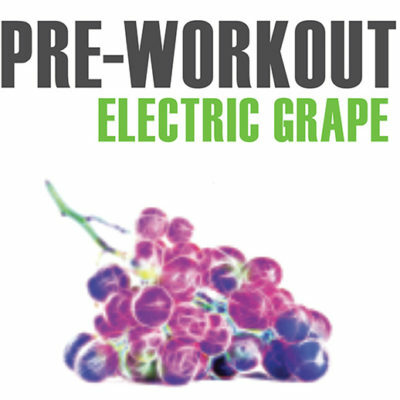 Simply pour one scoop into your favorite beverage, shake and enjoy in the gym, on the road or at work! Blend BFD Nutrition Whey Protein, 6-8oz of your favorite beverage and a couple ice cubes for 30 seconds. For an incredibly healthy treat, add banana and peanut (or almond) butter and you find yourself with a great smoothie that rivals the best!